Are there certain plants you've grown that you just wouldn't do without? In the realm of easy care and great looks throughout the summer, I've got several, but these jump to the front of my list. 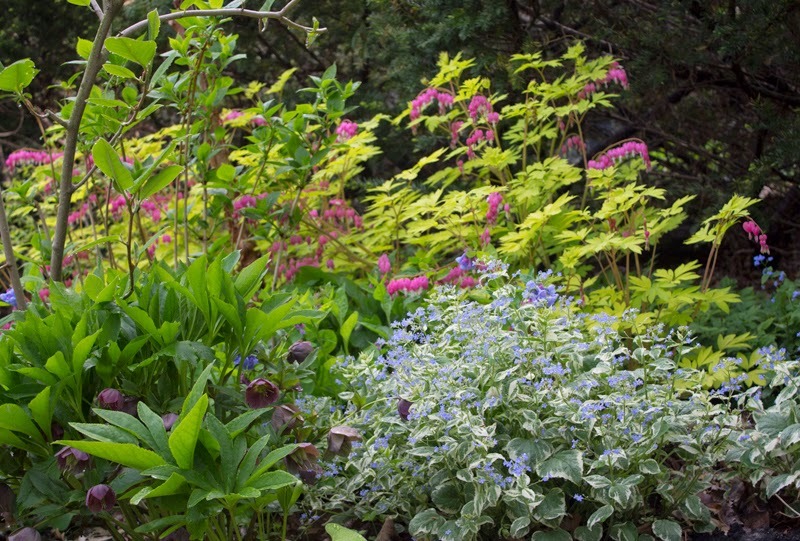 For those shaded spots beneath the trees, I would certainly want Epimedium, in this case 'Bandit' for its distinctive leaves and prolific flowers. Shade should call attention to itself, and this can best be done with foliage. I love chartreuse and I love variegation, both of which seem to whisper, "Hey, you! Come on over here. I want to show you something up close." Against a deep green yew, Chartreuse and variegated green and cream beg a closer look. 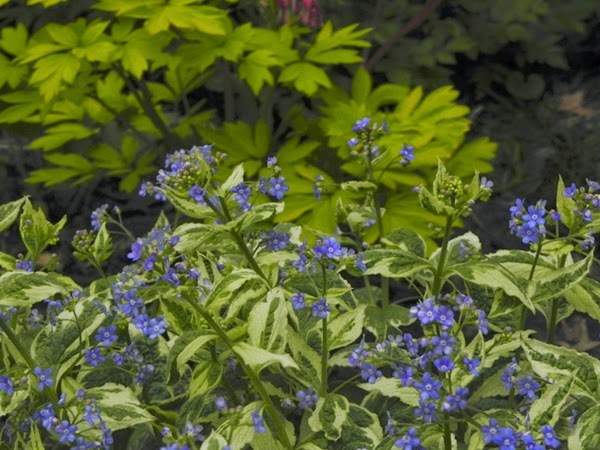 The closer look: Brunnera 'Hadspen Cream' in foreground with Dicentra 'Gold Heart'. 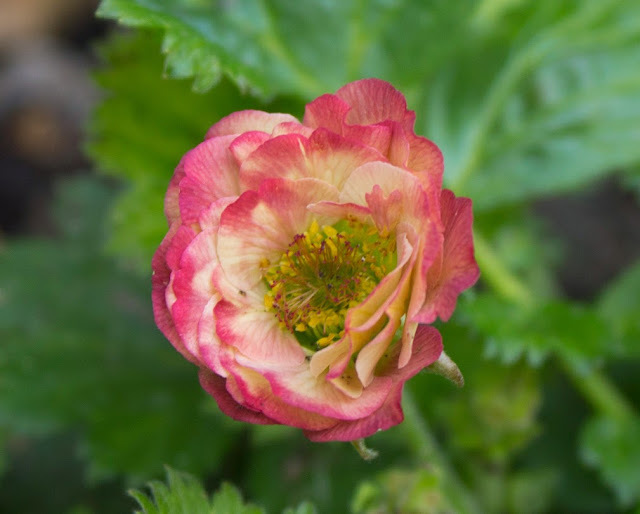 Up close is where I'm drawn when I see colors like those on several cultivars of Geum in my garden. 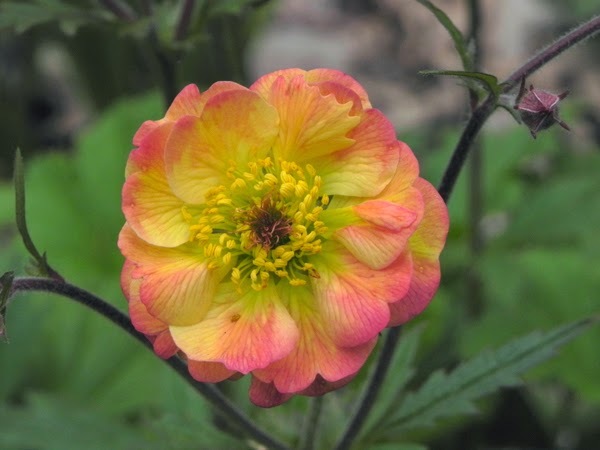 Examples of the Cocktail series by Intrinsic Perennials, includes 'Alabama Slammer', 'Tequila Sunrise', 'Mai Tai', and 'Cosmopolitan'. From a distance or at a glance, they all might look similar. But these plants are great at their job - brightening up the lower levels and rewarding close inspection with bright, watercolor blends on each tiny petal. 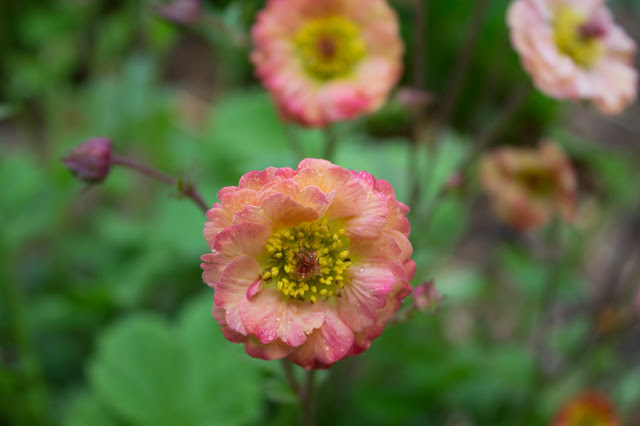 Their colors are so subtle and unique, and they blend so well to form a flower that is positively intoxicating. I'm guessing that's what the plants' developer and owner of Intrinsic Perennials, Brent Horvath was thinking, hence the series names. Full disclosure: Brent sent me samples to try, plus one called 'Banana Daquiri' to try in spring, 2012. They've come through three winters without a hitch. I killed 'Banana Daquiri' when I moved it too late in the fall, not allowing for its roots to become established before winter set in. Brent also is the author of The Plant Lover's Guide to Sedums. 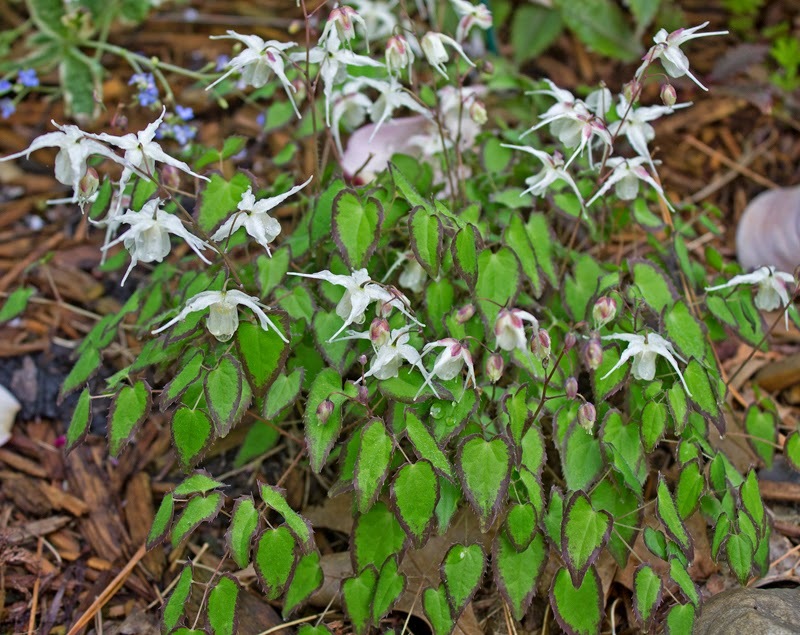 I love love love this epimedium. I haven't seen it before. Another plant for my want list.